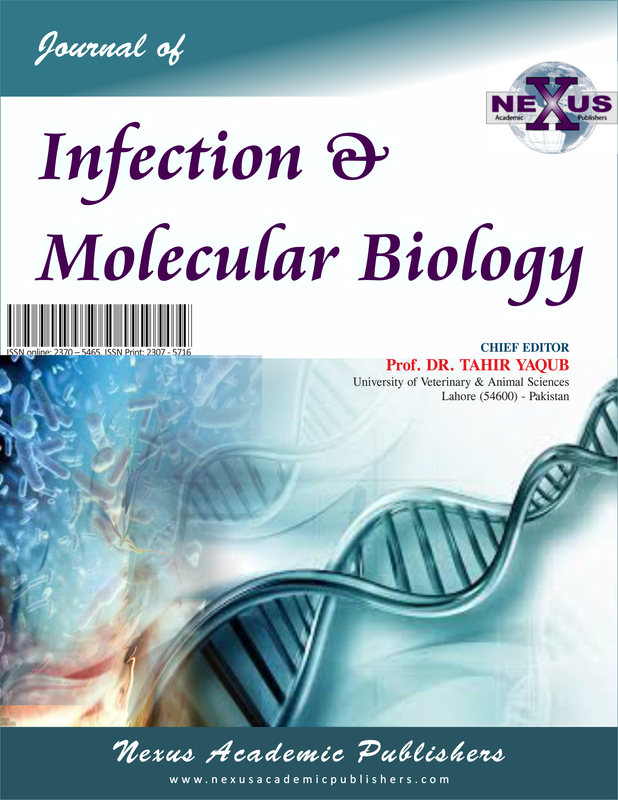 1Department of Bacteriology, Mycology and Immunology, Faculty of Veterinary Medicine, Mansoura University, Mansoura, 35516; 2Animal Health Research Institute, Dokki, Egypt. Abstract | Staphylococcus aureus (S. aureus) is one of the major pathogens involved in bovine mastitis. Monitoring of antibiotic use could assess the hazard of S. aureus in cow’s milk. The objective of this study was to determine the prevalence of S. aureus in mastitic dairy cows in some localities in Dakahlia and Damietta Governorates, Egypt and to phenotypically characterize the antimicrobial susceptibility of the obtained isolates. In that context, a total of406 milk samples were collected from dairy cows suffering from clinical (n=100) and subclinical (n=306) mastitis from four different dairy farms. Milk samples were subjected to conventional bacteriological isolation techniques, and confirmed as S.aureus by using PCR assay targeting nuc (S. aureus-specific thermonuclease) and coa (coagulase) genes. Interestingly, 28 S. aureus strains tested negative to coagulase enzyme phenotypically were positive for Cao gene. The prevalence rate of S. aureus in clinical and subclinical mastitic milk samples was 66% (66/100) and 30.72% (94/306) respectively with an overall prevalence of 39.40% (160/406). All S.aureus isolates were tested against 10 different antimicrobials belonged to 7 antimicrobial classes. S.aureus strains exhibited a high rate of resistance to vancomycin (93.75%), penicillin (86.25%), trimethoprim (60%), and oxacillin (58.75%). A medium rate of resistance was observed to clindamycin (41.25%), ciprofloxacin (41.25%) and erythromycin (37.5%).On the other hand; S.aureus isolates displayed a low frequency of resistance to gentamicin (21.25%), ampicillin/sulbactam (20%) and chloramphenicol (18.75%). The multidrug-resistance to three or more classes of antimicrobials was detected in 108isolates (67.5 %). In conclusion, antimicrobial resistance of S.aureus was prevalent in dairy herds in the study area which represents a public health hazard. Hence, control and prevention policies should be implemented to minimize the dissemination of resistance trend. Keywords | Antimicrobial resistance, Cows, Coa gene, Mastitis, Nuc gene, Staphylococcus aureus. Citation | Younis G, Sadat A, Maghawry M (2018). Characterization of coa gene and antimicrobial profiles of staphylococcus aureus isolated from bovine clinical and subclinical mastitis. Adv. Anim. Vet. Sci. 6(4): 161-168. Copyright © 2018 Younis et al. This is an open access article distributed under the Creative Commons Attribution License, which permits unrestricted use, distribution, and reproduction in any medium, provided the original work is properly cited. Bovine mastitis is considered as a serious threat in dairy industry as it causes huge economic losses in dairy herds (Awale et al., 2012; Xue et al., 2014). Bovine mastitis may caused by either contagious or environmental causes. Contagious mastitis is caused by bacterial or mycotic pathogens. However, environmental mastitis is the result of injury, bruising, chilling, or rough and improper milking. Large number of pathogens has been isolated from cases of mastitis in dairy cows. Mastitis causing pathogens have been classified as major and minor pathogens (Firaol et al., 2013). Among the pathogen causing mastitis, S. aureus is one of the major pathogens of clinical and subclinical bovine mastitis (Fox et al., 2001; National Mastitis Council, 2004; Xue et al., 2014). Pathogenic S.aureus differs from other staphylococcus species by possessing coagulase enzyme and called coagulase positive staphylococcus (CPS) (Cunha, 2009). S.aureus in milk can affect the consumer in case of ineffective pasteurization or also in dairy products with raw milk; this represents an important public health hazard (Silva et al., 2013). It can also cause outbreaks of variety of diseases such as food poisoning (nausea, violent vomiting, and abdominal cramping with or without diarrhea) (Le Loir et al., 2003), osteomyelitis, septic arthritis or septicemia (Peles et al., 2007). Antimicrobial therapy is an important tool in mastitis therapeutic programs. In the last decades, failure of antimicrobial therapy against Staphylococcus spp. has been recorded (Vintov et al., 2003). This therapeutic failure is associated with antimicrobial resistance of S. aureus, intracellular location of S. aureus or microabscess formation deep inside the udder tissues (Fox et al., 2001; National Mastitis Council, 2004). S. aureus strains have been observed for resistance against different antimicrobial agents including beta-lactams, aminoglycosides, fluoroquinolones, lincosamides, macrolides, andstreptogramins that are commonly used by veterinarians worldwide to treat mastitis (Hendriksen et al., 2008; Wang et al., 2008). 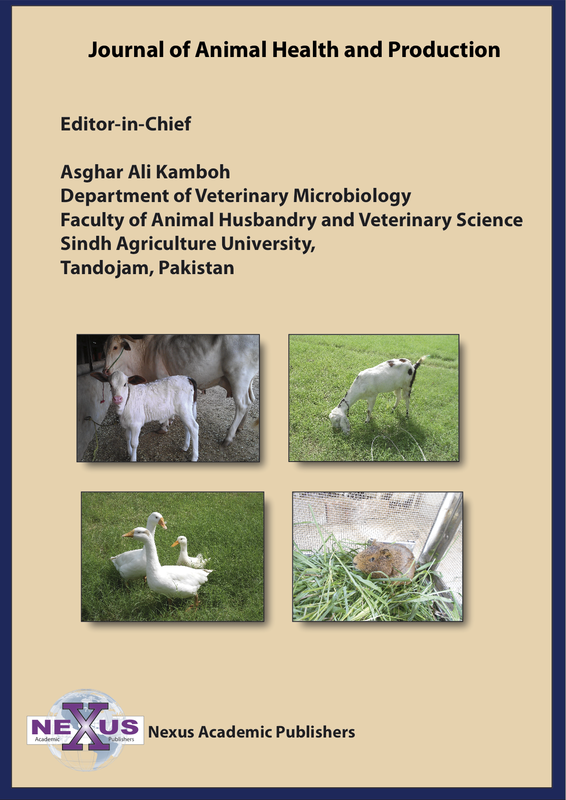 There is a great concern that the antibacterial-resistant agents in food animals can be transmitted to humans by dairy food chain (Irlinger, 2008).Therefore, this study was designed to determine the prevalence of S. aureus in mastitic dairy cows in Dakahlia and Damietta Governorates, Egypt and to genetically characterize the isolated strains using nuc (S. aureus-specific thermonuclease) and coa (coagulase) genes. In addition, the antimicrobial susceptibility patterns of isolated strains against common antimicrobial agents were also determined. A total of 406 quarter milk samples were collected from 285 animals affected with mastitis. Samples were collected from four different dairy farms located at Dakahlia and Damietta Governorates, Egypt during the period between June 2016 and August 2017. Forms of mastitis were determined based on physical examination of the udder and California Mastitis Test (CMT) findings. Clinical mastitis was diagnosed based on the presence of abnormal changes in milk, mammary gland, teat, and systemic reaction (Quinn et al., 2004). Milk samples were collected aseptically. Quarters were washed with clean warm water and dried and the teat ends were disinfected with 75% ethyl alcohol then 8 to 10 ml milk samples were collected in sterile tubes after discarding the first three streams of milk. Milk samples were held in an ice box and transported immediately to laboratory for bacteriological analysis. Milk samples were subjected to S.aureus isolation procedures based on the standard technique previously established by Wang et al. (2012). Briefly, milk samples were vortexed, and 10 µL of milk was plated on Baird-Parker agar plates (BPM, Oxoid, Basingstoke, UK) with 5% egg yolk and 1% potassium tellurite and incubated at 37°C for 24 h. For purification, one or two presumptive colonies per plate (black colonies surrounded by hallow zone) were transferred to trypticase soy agar (TSA; Oxoid, UK) plates. S.aureus isolates were subjected to Gram staining, coagulase test and the standard biochemical tests (Boerlin, et al 2003; De Freitas Guimarães et al., 2013). All isolates were stored in 20% glycerol solution at −80°C for further investigation. The susceptibility of S.aureus isolates to different antimicrobials was carried out using disc-diffusion method on Mueller-Hinton agar as recommended by CLSI (2013). Susceptibility of the isolates was determined against 10 antimicrobial agents (Oxoid, UK) including, ciprofloxacin (CIP, 5μg), erythromycin (E, 15 μg), gentamicin (CN, 10 μg), penicillin (P, 10 μg), clindamycin (DA, 2 μg), oxacillin (OX, 15 μg), Ampicillin-sublactam (SAM, 20 μg), chloramphenicol (C, 30 μg), trimethoprim-sulfamethazole (SXT, 25 μg), and vancomycin (VA, 30 μg). Interpretation of the results was done following CLSI guidelines (CLSI, 2012) (Table 3). S.aureus ATCC29213 (B-lactamase positive), and S.aureus ATCC25923 (B-lactamase negative) were used as quality control. Multidrug resistance was reported as a single isolate resistant to 3 or more antimicrobial classes (Waters et al., 2011). DNA extraction: Genomic DNA was extracted by boiling method (Alexopoulou et al., 2006). In brief, 3 to 5 bacterial colonies were picked up and suspended in 50 µl deionized water followed by boiling for 5 min and centrifuging at 10000 g for 1 min. The supernatant were then transferred and used as the DNA template for further molecular characterization. ume of 25 μL, consisting of the following components: 12.5 μl master mix (Thermo scientific, USA); 1 μl of each primer; 2 μl DNA template and volume of the reaction mixture was completed to 25 μl using DNase/RNase-free water. PCR reactions were performed using 96 well Applied Biosystem,2720thermal cycler and cyclic PCR conditions described in Table 2 according to the referenced authors. 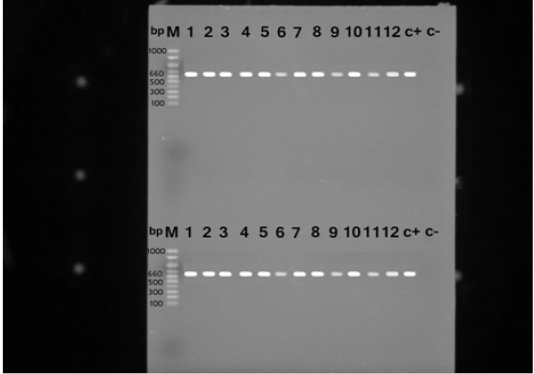 Eight µl of each PCR product was separated by agarose gel electrophoresis, 1.2 % agarose prepared in TBE. Gels were stained with ethidium bromide and then visualized by Gel Doc (cleaver scientific ltd UV gel documentation system, USA). Differences between different antimicrobial agent in resistant, intermediate and susceptible Staphylococcus aureus strains were tested using the Chi square (χ2) test. χ2 was calculated 830.95 and the degree of freedom was 18. Differences among means with P < 0.000001 were considered as statistically highly significant. The overall prevalence of S. aureus in this study was 39.4% (160/406) out of 406 milk samples from both clinical and subclinical mastitis. According to the type of mastitis, S. aureus was recovered at a prevalence rate of 66% (66/100) and 30.72% (94/306) from clinical and subclinical mastitis, respectively. S. aureus isolates were identified with the nuc gene using PCR assay in all the biochemically identified isolates (Figure 1). Coagulase gene encoded by coa was also used for the confirmation of the isolated S. aureus, all the recovered S. aureus harbored the specific amplified products of coa gene at the expected size 500 bp except in ten isolates, in which two variants of coa gene were detected, one with the size of 500bp and the second variant was 600bp (two isolates), 700bp (four isolates), 800bp (two isolates) and 900bp (one isolate) (Figure 2). Amplification of coa gene showed that 28 isolates, which had been identified as coagulase negative staph aureus, contained coa gene (Table 2). Figure 1: PCR products for nuc gene of Staphylococcus aureus strains showing amplified genes at the expected molecular size 660 bp from lane (1-12) and the last two for positive and negative controls, respectively. Antimicrobial resistance was investigated against 10 antimicrobial agents. A high frequency of resistance was observed for vancomycin 93.75% (150/160), penicillin 86.25% (138/160), trimethoprim 60% (96/160), and oxacillin 58.75% (94/160). A medium frequency of resistance was observed for clindamycin 41.25% (66/160), ciprofloxacin 41.25% (66/160) and erythromycin 37.5% (60/160). A low frequency of resistance was displayed against gentamicin 21.25% (34/160), ampicillin/sulbactam 20% (32/160) and chloramphenicol 18.75% (30/160) (Table 3). The multidrug-resistance (resistance to three or more classes of antimicrobials) was detected in 108 isolates (67.5 %) (Table 4). Figure 2: PCR products for coa gene of Staphylococcus aureus strains showing amplified genes at the expected molecular size 500-1000 bp from lane (1-12) and the last two for positive and negative controls, respectively. Staphylococcus aureus is a highly pathogenic micro-organism, which causes many serious diseases in both human and animals. It has been reported as the most commonly isolated micro-organism from cases of mastitis (Van Dui jkeren et al., 2004; Aires-de-Sousa et al., 2007). The present study was carried out to determine the prevalence of S. aureus in dairy cows affected with clinical and subclinical mastitis and to characterize the antibiotic resistance patterns. The recovered S. aureus isolates expressed the typical criteria of isolation which was consistent with those given by Boerlin et al. (2003). In the present study, the overall prevalence of S. aureus was 39.4%, being higher in cows with clinical mastitis (66%) than those having subclinical mastitis (30.72%). Similarly, Asmelash et al. (2016) reported a high prevalence rate of S. aureus in clinical more than subclinical mastitis. However, other studies have proved that S.aureus is the main causative agent of subclinical mastitis (Gitau et al., 2014; Legesse et al., 2015). The overall prevalence of S. aureus in this study (39.4%) was in line with the prevalence (42%) recorded by Awad et al. (2017) in Egypt, Bedada and Adem (2011) and Lakew et al. (2009) in southern Ethiopia who recorded a prevalence of 39.1%, and 39.4% respectively. A relatively higher prevalence (54%) of S.aureus was recorded by Berchtold et al. (2014). Moreover, a higher prevalence (49.3%) was also recorded in Zimbabwe by Katsande et al. (2013),in South Ethiopia (51.2%) by Abebe et al. (2016), and in Brazil (53%) by Guimarães et al. (2016). However, lower prevalence than the present findings was reported by many authors all over the world (Li et al. 2009; Wang et al. 2014; Wang et al. 2016). al. 2013). Hence, proper identification of coagulase positive and coagulase negative species can’t be performed by phenotypic methods only but also, requires a combination of phenotypic and molecular assays (Akineden et al., 2011). Furthermore, confirmation of S. aureus was performed by PCR assay targeting nuc gene encodes the S. aureus-specific region of the thermonuclease which can degrade both DNA and RNA, and its enzymatic activity can resist 100°C for at least 1 h. PCR amplification for nuc gene is considered as an accurate, rapid, and safe screening method for S. aureus detection (Shrestha et al, 2002). Moreover, phenotypic methods are considered time consuming, expensive, and less accurate method so molecular screening of S.aureus is reported to be more efficient than other phenotypic methods (Aras et al., 2012). In this study, S. aureus isolates exhibited a high resistance to vancomycin (93.75%). But vanomycin resistance was not recorded against S. aureus isolates from mastitic cow’s milk (Kumar et al., 2010; Wang et al., 2014). In addition, the high resistance of S. aureus to oxacillin (58.25%) contradicted the results obtained by many other authors (De Oliveira et al., 2000; Gentilini et al., 2000; Guler et al., 2005; Kumar et al., 2010) who reported susceptibility of S.aureus to oxacillin. Concerning penicillin resistance, a higher rate of resistance was revealed in this study (86.25%). This finding went parallel with those reported in many studies (Guler et al., 2005; Turtoglu, et al., 2006; Li et al., 2009; Shi et al., 2010; Wang et al., 2014; Akindolire et al. 2015). On the other side, much lower resistance was previously recorded by others (Kumar et al., 2010; Haran et al., 2012). The variety in penicillin resistance between investigations could be attributed to many reasons including the differences in animal production systems and the use of antimicrobial drugs in each country (Guler et al., 2005). Comparing to the results of the current study, Kumar et al. (2010) reported a low resistance to erythromycin (22.7%), and clindamycin (14.1 %) but relatively high resistance against gentamicin (30.5%), and almost the same rate of resistance to chloramphenicol (17.9). In other investigation conducted by Wang et al. (2014), a higher resistance to erythromycin (61%) and a lower resistance againsttrimethoprim/ sulphamethoxazole (58.6%), ciprofloxacin (15%), gentamicin (7.3%), and chloramphenicol (0.00%) was exhibited by S. aureus isolates. Moreover, a lower resistance was revealed for trimethoprim-sulfamethoxazole and erythromycin (Guler et al., 2005; Haran et al., 2012).For clindamycin and ciprofloxacin resistance, a high rate of resistance against these antimicrobial agents was also observed by Wang et al. (2008). 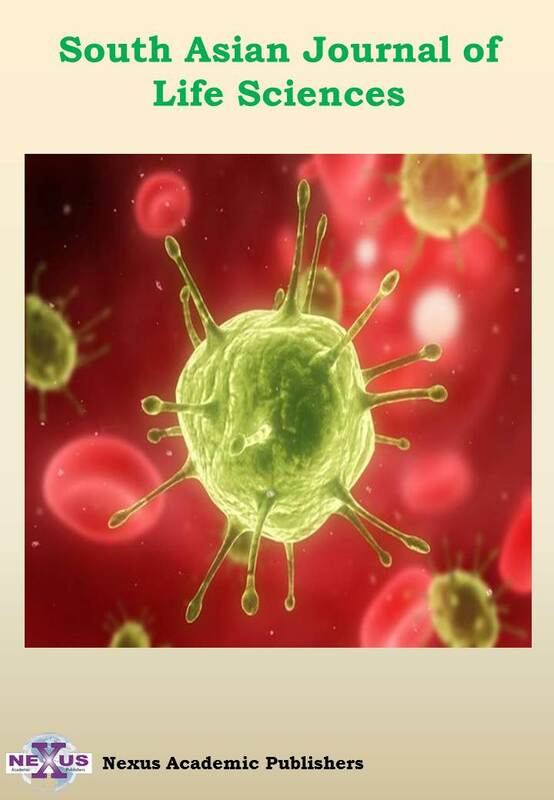 Taken together, it can be inferred that the isolated S. aureus had a high resistance to the antibiotics which are frequently used in the country. Besides, bovine multidrug resistant S. aureus strains could be zoonotic pathogens (Soares et al., 2012). Given that Vancomycin and oxacillin are important antibiotics for human, isolates.Our results indicated high resistance rate for oxacillin which is responsible for methicillin resistance. This may be an indication for contamination or even infection by human isolates (Spanu et al., 2012). Moreover, the difference of animal welfare system and the medication by the antimicrobial drugs caused this high prevalence of antimicrobial resistance (Guler et al., 2005). The antimicrobial agents being used for treatment of mastitic cases were unexpected to possess this increased resistance (Goni et al., 2004). This may be attributed to modification of the antibiotics by modifying enzymes (Goni et al., 2004) or the influence of excessive use (Turutoglu et al., 2006). The widespread use of antibiotics on dairy farms and other food-producing animals could lead to emergence of antibiotic-resistant bacterial strains which represents a serious public health problem because of the possibility of dissemination of the antimicrobial-resistant bacteria to humans via food. Therefore; all possible control and prevention policies should be implemented to minimize the dissemination of resistance trend. We gratefully acknowledge Dr. Eman Abo El-fadl at the Department of Animal Husbandry and Development of Animal Wealth, Faculty of Veterinary Medicine, Mansoura University for her technical help in this study. G. Y. designed the experiment and revised the manuscript; A. S. performed all the practical part, analyzed all the data, wrote the manuscript, revised the manuscript and was the corresponding author; M. M revised the manuscript. All authors approved the final version of the manuscript for publication. •	Aires-de-Sousa M, Parente CESR, Vieira-da-Motta (2007). Characterization of Staphylococcus aureus isolates from buffalo, bovine, ovine, and caprine milk samples collected in Rio de Janeiro State, Brazil. Appl. Environ. Microbiol. 73: 3845–3849. •	Akindolire MA, Babalola OO, Ateba CN (2015). Detection of Antibiotic Resistant Staphylococcus aureus from Milk: A Public Health Implication. Int. J. Environ. Res. Public Health. 12(9): 10254-10275. http://doi: 10.3390/ijerph120910254; PMID 26308035. •	Akineden O, Annemüller C, Hassan AA, Lämmler C, Wolter W, Zschöck M (2001). Toxin genes and other characteristics of Staphylococcus aureus isolates from milk of cows with mastitis. Clin. Diagn. Lab Immunol. 8:959–964. •	Alexopoulou K, Foka A, Petinaki E, Jelastopulu E, Dimitracopoulos G, Spiliopoulou I (2006). Comparison of two commercial methods with PCR restriction fragment length polymorphism of the tuf gene in the identification of coagulase-negative Staphylococci. Lett. Appl. Microbiol. 43:450–454. [PubMed]. •	Asmelash T, Mesfin N, Addisu D, Aklilu F, Biruk T, Tesfaye S (2016). Isolation, identification and drug resistance patterns of methicillin resistant Staphylococcus aureus from mastitic cow’s milk from selected dairy farms in and around Kombolcha, Ethiopia. J. Vet. Med. Anim. Health. 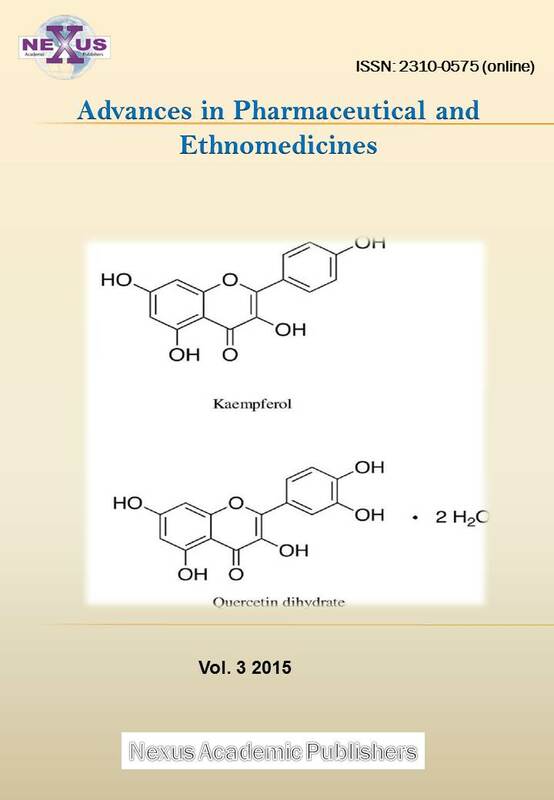 8(1): 1-10. http://doi: 10.5897/JVMAH2015.0422. •	Awad A, Ramadan H, Nasr S, Ateya A, Atwa S (2017). Genetic Characterization Antimicrobial Resistance Patterns And Virulence Determinants of Staphylococcus aureus Isolated Form Bovine Mastitis. Pak. J. Biol. Sci. 20(6): 298-305. http://doi: 10.3923/pjbs.2017.298.305. •	Awale, MM, Dudhatra GB, Avinash K, Chauhan BN, Kamani DR, Modi CM, Patel HB, Mody SK (2012).Bovine mastitis: A threattoeconomy. Open Access Scientific Reports. 1: 295. http://doi:10.4172/scientificreports.295. •	Bedada A, Hiko A (2011). Mastitis and antimicrobial susceptibility test at Asella, Oromia Regional state, Ethiopia. J Microbiol. Antimicrob. 3(9): 228–232. •	Berchtold B, Bodmer M, van den Borne BHP, Reist M, Graber HU, Steiner A, Boss R, Wohlfender (2014). Genotype-specific risk factors for Staphylococcus aureus in Swiss dairy herds with an elevated yield-corrected herdsomatic cellcount. J. Dairy Sci. 97(8): 4886–4896. http://dx.doi.org/10.3168/jds.2013-7760. •	Boerlin P, Kuhnert P, Hu¨ssy D, Schaellibaum M (2003). Methods for identification of Staphylococcus aureus isolates in cases of bovine mastitis. J. Clin. Microbiol. 41(2):767–771. •	CLSI (2012). Clinical and Laboratory Standards Institute: Performance Standards for Antimicrobial Susceptibility Testing; Twenty-Third Informational Supplement, CLSI, Wayne, PA.
•	CLSI (2013). Performance Standards for Antimicrobial Susceptibility Testing. CLSI Approved Standard M100-S23. Wayne, PA: Clinical and Laboratory Standards Institute. •	Cunha M (2009). 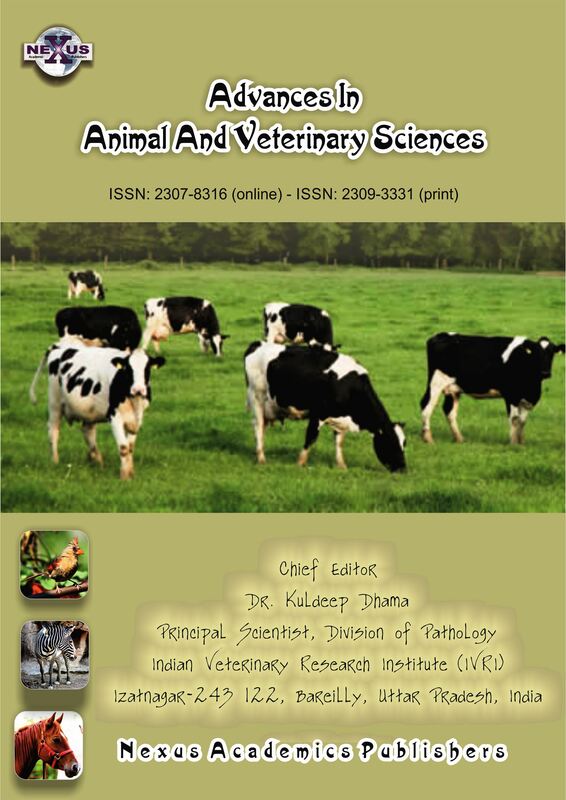 Staphylococcus aureus and bovine mastitis: a public health problem, in Cross Infections: Types, Causes and Prevention, eds J. Dong and X. Liang (New York, NY: Nova SciencePublishers). 117–128. •	De Freitas Guimarães F, Nóbrega DB, Richini-Pereira VB, Marson PM, de Figueiredo Pantoja JC, Langoni H (2013). Enterotoxin genes in coagulase-negative and coagulase-positive Staphylococci isolated from bovine milk. J. Dairy Sci. 96:2866–2872. http://doi: 10.3168/jds.2012-5864. •	De Oliveira AP, Watts JL, Salmon SA, Aarestrup FM (2000). Antimicrobial susceptibility of Staphylococcus aureus isolated from bovine mastitis in Europe and the United States. J. Dairy Sci. 83(4):855–862. •	Firaol T, Sefinew A, Awoke T (2013). Aerobic microorganisms isolated from mastitis bovine milk and their antimicrobial susceptibility profiles, Ethiopia. Am. Eur. J. Agric. Environ. Sci. 13(7): 920–925. http://doi:10.5829/idosi.aejaes.2013.13.07.7168. •	Fox LK, Bayles KW, Bohach GA (2001). Staphylococcus aureus mastitis. In: Honeyman AL, Friedman H, Bendinelli M, eds. Staphylococcus aureus infectionand disease. New York: Kluwer Academic/PlenumPublishers, New York, NY; 271–294. •	Gentilini WIE, Denamiel G, Llorente P, Godaly S, Rebuelto M, De Gregorio O (2000). Antimicrobial susceptibility of Staphylococcus aureus isolated from bovine mastitis in Argentina. J. Dairy Sci. 83:1224–1227. •	Gitau GK, Bundi RM, Vanleeuwen J, Mulei CM (2014). Mastitogenic bacteria isolated from dairycows in Kenya and their Antimicrobial sensitivity. J. S. Afr. Vet. Assoc. 85 (1): 950. http://doi: 10.4102/jsava.v85i1.950. •	Goni P, Vergara Y, Ruiz J, Albizu I, Vila J, Gomez-Lus R (2004). Antibiotic resistance and epidemiological typing of Staphylococcus aureus strains from ovine and rabbit mastitis. Int. J. Antimicrob. Ag. 23(3): 268-272. •	Guimarães FF, Manzi MP, Joaquim SF, Richini-Pereira VB, Langoni H (2016). Short communication: Outbreak of methicillin-resistant Staphylococcus aureus (MRSA)-associated mastitis in a closed dairyherd. J. Dairy Sci. 100: 726730. http://doi:10.3168/jds.2016-11700; PMID27837983. •	Guler U Ok, Gundu z K, Gulcu Y, Hadimli HH (2005). Antimicrobial Susceptibility and Coagulase Gene Typing of Staphylococcus aureus Isolated from Bovine Clinical Mastitis Cases in Turkey. J. Dairy Sci. 88:3149–3154. •	Haran, Godden SM, Boxrud D, Jawahir S, Bender JB, Sreevatsana S (2012). Prevalence and Characterization of Staphylococcus aureus, Including Methicillin-Resistant Staphylococcus aureus, Isolated from Bulk Tank Milk from Minnesota Dairy Farms J. Clin. Microbiol. 50(3): 688–695. http://doi:10.1128/JCM.05214-11. •	Hendriksen RS, Mevius DJ, Schroeter A, Teale C, Meunier D, Butaye P, Franco A, Utinane A, Amado A, Moreno M, Greko C, Stärk K, Berghold C, Myllyniemi AL, Wasyl D, Sunde M, Aarestrup FM (2008). Prevalence of antimicrobial resistance among bacterial pathogens isolated from cattle in different European countries: 2002–2004. Acta. Vet. Scand. 50:1–10. http://doi: 10.1186/1751-0147-50-28. •	Himabindu M, Muthamilselvan DS, Bishi DK, Verma SR (2009). Molecular analysis of coagulase gene polymorphism in clinical isolates of methicillin resistant Staphylococcus aureus by restriction fragment length polymorphism based genotyping. Am. J. Infect. Dis. 5(2):163-169 http://doi : 10.3844/ajidsp.2009.163.169. •	Irlinger F (2008). Safety assessment of dairy microorganisms: Coagulase-negative Staphylococci. Int. J. Food Microbiol. 126 (3): 302–310. •	Katsande S, Matope G, Ndengu M, Pfukenyi DM. (2013). Prevalence of mastitis in dairycows from smallholder farms in Zimbabwe. Onderstepoort. J. Vet. Res. 80:523-530. http://doi: 10.4102/ojvr.v80i1.523. •	Kumar R, Yadav BR, Singh RS (2010). Genetic determinants of Antibiotic resistance in Staphylococcus aureus isolates from milk of mastitic crossbred cattle. Curr. Microbiol. 60:379-386. http://doi:10.1007/s00284-009-9553-1; PMID 19957184. •	Lakew M, Tolesa T, Tigrie W (2009). Prevalence and majorbacterial causes of bovine mastitis in Asella, South Eastern Ethiopia. Trop. Anim. Health Prod. 41(7): 1525–1530. http://doi:10.1007/s11250-009-9343-6. •	Legesse G, Beemnet M, Reta T (2015). Staphylococcus aureus in mastitic crossbred cows and its associated risk factors in Addis Ababa City, Ethiopia. Ethiopia Vet. J. 19(1): 107-116. •	Le Loir Y, Baron F, Gautier M (2003). Staphylococcus aureus and food poisoning. Genet. Mol. Res. 2(1): 63–76. •	Li JP, Zhou HJ, Yuan L, He T, Hu SH (2009). Prevalence, Genetic diversity, and antimicrobial susceptibility profiles of Staphylococcus aureus isolated from bovine mastitis in Zhejiang Province, China. J. Zhejiang Univ. Sci. B. 10(10): 753–760. http://doi:10.1631/jzus.B0920072. •	National Mastitis Council Web site (2004). Available at: www.nmconline.org. Accessed Jun 15. •	Peles F, Wagner M, Varga L, Hein I, Rieck P, Gutser K, Keresztúri P, Kardos G, Turcsányi I, Béri B, Szabó A (2007). Characterization of Staphylococcus aureus strains isolated from bovine milk in Hungary. Int. J. Food Microbiol. 118(2):186-193. http://doi:10.1016/j.ijfoodmicro.2007.07.010: PMID: 17727995. •	Phonimdaeng P, O’Reilly M, Nowlan P, Bramley AJ, Foster TJ (1990). The coagulase of Staphylococcus aureus 8325-4 sequence analysis and virulence of site-specific coagulase deficient mutants. Mol. Microbiol. 4(3): 393–404. http://doi: 10.1111/j.1365-2958.1990.tb00606.x. •	Quinn PJ, Carter ME, Donnelly WJC, Leonard FC (2004). 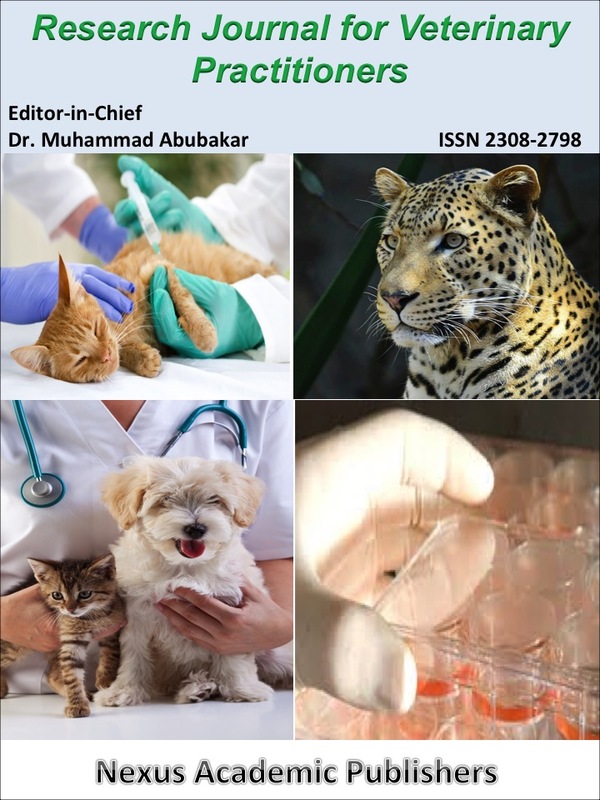 Zoonosis and control of infectious diseases. Vet. Microbiol. Microbial. Dis. Blackwell Science, London. pp. 465–472. •	Sallam KI, Abd- Elghany SM, Elhadidy M, Tamura T (2015). Prevalence, molecular characterization and Antimicrobial resistance profile of methicillin-resistant Staphylococcus aureus (MRSA) in retail chicken products. J. Food Prot. 78(10):1879–84. http://doi:10.4315/0362-028X.JFP-15-150. •	Shrestha NK, Tuohy MJ, Hall GS, Isada CM, Procop GW (2002). Rapid identification of Staphylococcus aureus and the mecA gene from BacT/ ALERT blood culture bottles by using the Light Cycler system. J. Clin. Microbiol. 40:2659– 2661. http://doi:10.1128/JCM.40.7.2659-2661.2002. •	Shi D, Hao Y, Zhang A, Wulan B, Fan X (2010). Antimicrobial resistance of Staphylococcus aureus isolated from bovine mastitis in China. Trans. Bound Emerg. Dis. 5: 221–224. •	Silva NCC, Guimarães FF, Manzi MP, Budri PE, GómezSanz E, Benito D, Langoni H, Rall VLM, Torres C (2013). Molecular characterization and clonal diversity of methicillin-susceptible Staphylococcus aureus in milk of cows with mastitis in Brazil J. Dairy Sci. 96 (11): 6856-6862. http://doi:10.3168/jds.2013-6719. •	Soares LC, Pereira IA, Pribul BR, Oliva MS, Coelho SMO Souza MMS (2012). Antimicrobial resistance and detection of mecA and blaZ genes in coagulase-negative Staphylococcus isolated from bovine mastitis. Pesq. Vet. Bras. 32(8): 692–696. •	Spanu V, Spanu C, Virids S, Cossu F, Scarano C, De Santis E (2012). Virulence factors and Genetic variability of Staphylococcus aureus strains isolated from raw sheep’s milk cheese. Int. J. Food Microbiol. 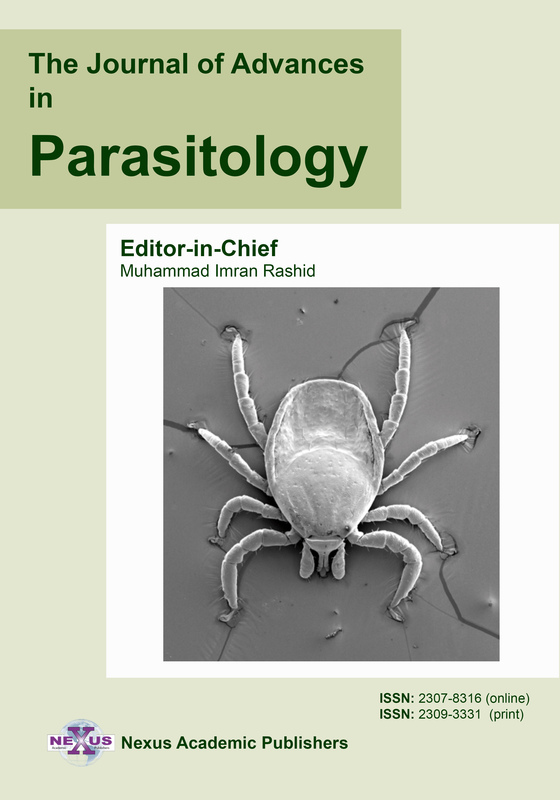 153(1-2):53-7. http://doi:10.1016/j.ijfoodmicro.2011.10.015. Epub 2011 Oct 29. •	Sunagar SN Deore, Deshpande PV, Rizwan A, Sannejal AD, Sundareshan S, Rawool DB, Isloor S, NR (2013). Differentiation of Staphylococcus aureus and Staphylococcus epidermidis by PCR for the fibrinogen binding protein gene R. Hegde J. Dairy Sci. 96: (5). 2857–2865. DOI: http://dx.doi.org/10.3168/jds.2012-5862. •	Turutoglu, Senay Ercelik, Dilek Ozturk. (2006). Antibiotic resistance of Staphylococcus aureus and coagulase- negative Staphylococci isolated from bovine mastitis. Bull. Vet. Inst. Pulawy. 50: 41-45. •	Van Duijkeren E, Box ATA, Heck MEOC, Wannet WJB, Fluit AC (2004). Methicillin-resistant Staphylococci isolated from animals. Vet. Microbiol. 103(1-2): 91–97. •	Vintov J, Aarestrup FM, Zinn CE, Olsen JE (2003). Association between phagetypes and Antimicrobial resistance among bovine Staphylococcus aureus from 10 countries. Vet. Microbiol. 95(1-2):133–147. •	Wang Y, Wu CM, Lu LM, Ren GW, Cao XY, Shen JZ (2008). Macrolide-lincosamide resistant phenotypes and genotypes of Staphylococcus aureus isolated from bovine clinical mastitis. Vet. Microbiol. 130(1-2):118–125. http://doi:10.1016/j.vetmic.2007.12.012. •	Wang X, Meng J, Zhang J, Zhou T, Zhang Y, Yang B, Xi M, Xia X (2012). Characterization of Staphylococcus aureus isolated from powdered infant formula milk and infant rice cereal in China. Int. J. Food Microbiol. 153(1-2):142-147. http://doi:10.1016/j.ijfoodmicro.2011.10.030; PMID22119265. •	Wang X, Wang Y, Wang G, Guo T, Usman D, Hao X, Tang Y, Zhang Y, Yu Y (2014). Antimicrobial resistance and toxin gene profiles of Staphylococcus aureus strains from Holsteinmilk. Lett. Appl. Microbiol. 58(6):527-34. http://doi: 10.1111/lam.12221. •	Wang D, Zhang L, Zhou X, He Y, Yong C, Shen M, Szenci O, Han B (2016). Antimicrobial susceptibility, virulence genes, and randomly amplified polymorphic DNA analysis of Staphylococcus aureus recovered from bovine mastitis in Ningxia, China. J. Dairy Sci. 99(12): 9560–9569. https://doi.org/10.3168/jds.2016-11625. •	Watanabe S, Ito T, Sasaki T, Li S, Uchiyama I, Kishii K, Kikuchi K, Skov RL, Hiramatsu K (2009). Genetic diversity of Staphylo coagulase genes (coa): insight into the evolution of variable chromoso malvirulence factors in Staphylococcus aureus. PLoS One. 4:e5714. http://doi:10.1371/journal.pone.0005714; PMID 19492076. •	Waters AE, Contente-CuomoT, Buchhagen J, Liu CM, Watson L, Pearce K (2011). Multidrug-resistant Staphylococcus aureus in US meat and poultry. Clin. Infect. Dis. 52(10), 1227–1230. http://doi:10.1093/cid/cir181. •	Xue T, Chen X, Shang F (2014). Effects of lactose and milk on the expression of biofilm-associated genes in Staphylococcus aureus strains isolated from a dairycow with mastitis. J. Dairy Sci. 97(10):6129–6134. http://doi:10.3168/jds.2014-8344.